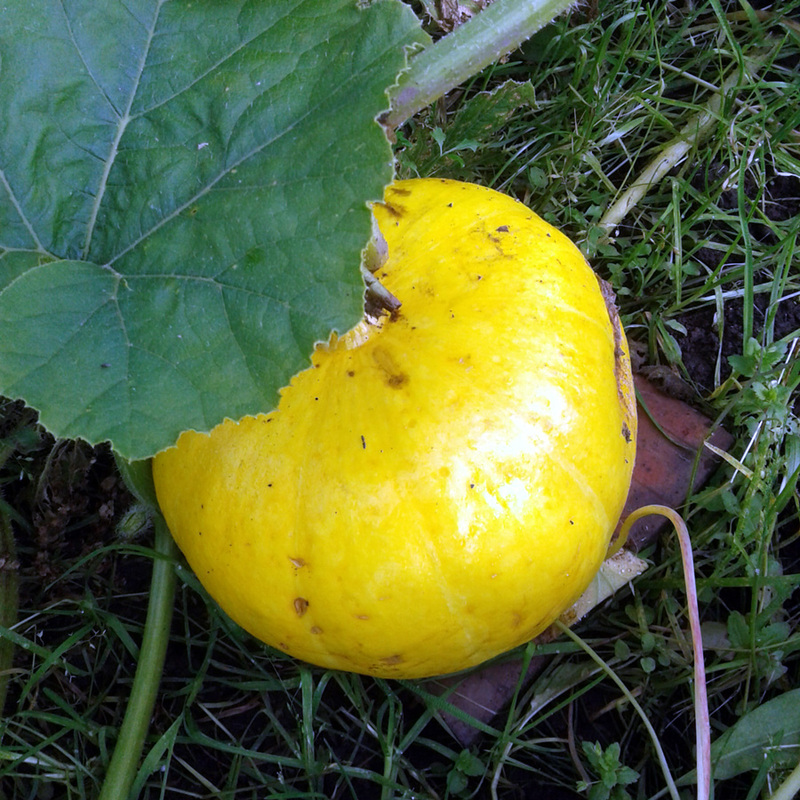 I’m a huge fan of the whole Cucurbitae family, but particularly squash. I love their savoury-sweet flavour – especially chopped into chunks, oiled, seasoned and baked in the oven until the edges start to caramelise nicely – but also the longevity of the fruits; picked at the right time, well-cured and properly stored they can last right through the coldest months of winter and into early spring. But I have confession to make: this year I took my eye off the ball at the crucial time (July into August) and let the plants grow and ramble far more than I intended. The result was – rather predictably – far too much foliage and far fewer fruits than I was hoping for. 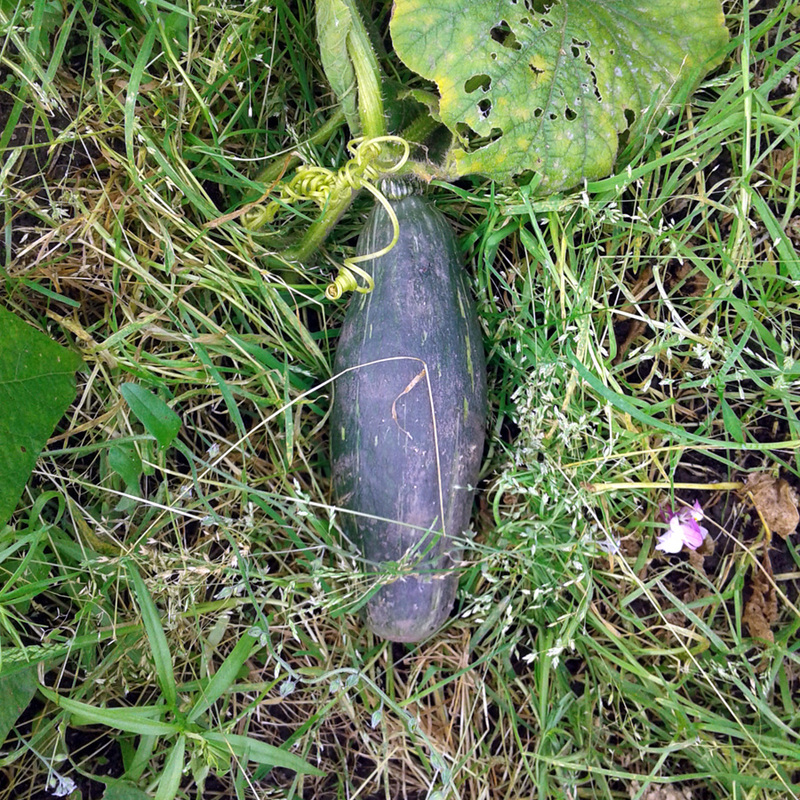 As a result, we’ll be lucky if we get half a dozen good squashes this year, and at least three of those are overgrown courgettes. But hey, next year will be better – I’ll have more time to keep on top of the plot, seeing as I’ll have finished the hard landscaping in our back garden that’s kept me so busy through the summer – and the harvest will be mighty. 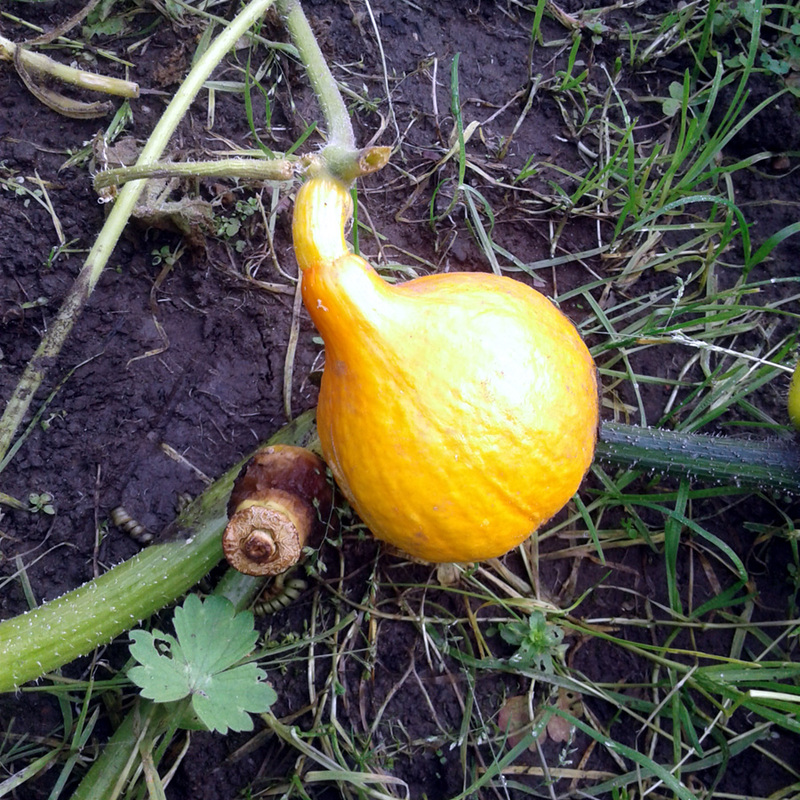 In the meantime, here are a few pics of the squash / pumpkin / overgrown courgette fruits that we’ll hopefully to be able to enjoy eating later in the year. 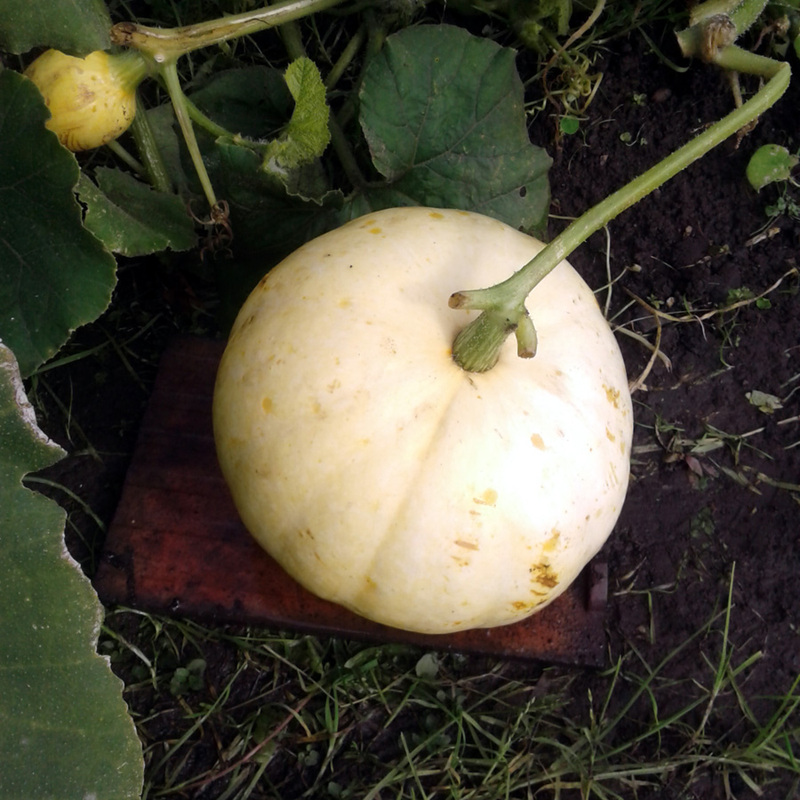 This compact, bijou Japanese squash has a little more ripening to do yet. 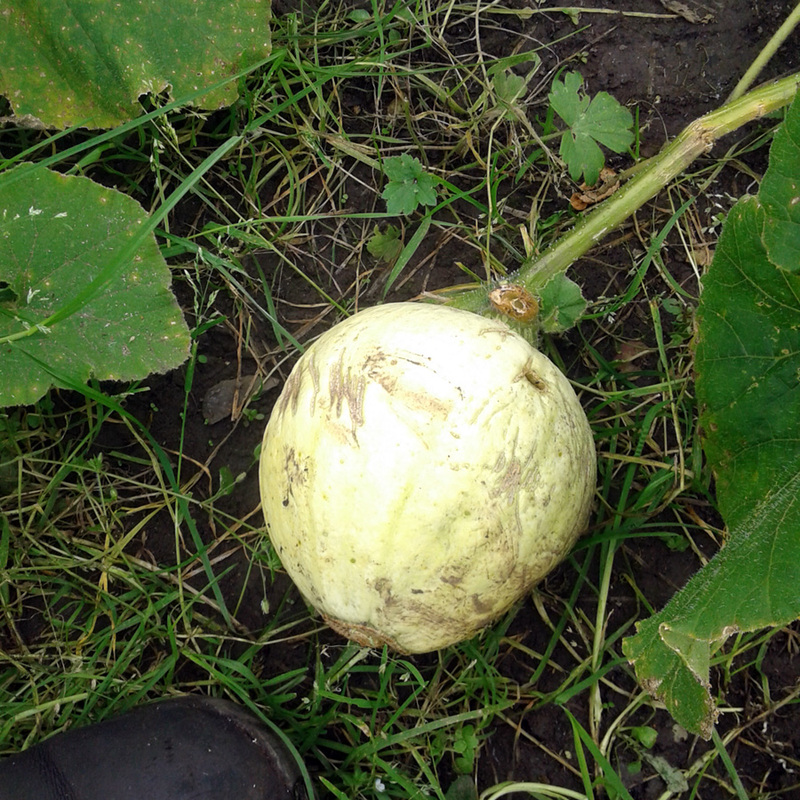 Another squash / pumpkin that will hopefully develop its full colour on ripening. It will be interesting to see how this hybrid develops as it ripens – and how tasty it is when cooked. Not quite so attractive, but you never know, the flavour might be fantastic..? We’ll see how they turn out. You never know, they might be absolutely delicious. Who could resist growing this one, with a name like ‘blue banana’? So far, not very blue – more of a mucky dark green – and not very banana-like. But again, the proof is in the eating, so we’ll see how that one turns out. Leave a courgette long enough and it will most likely turn into some sort of squash. 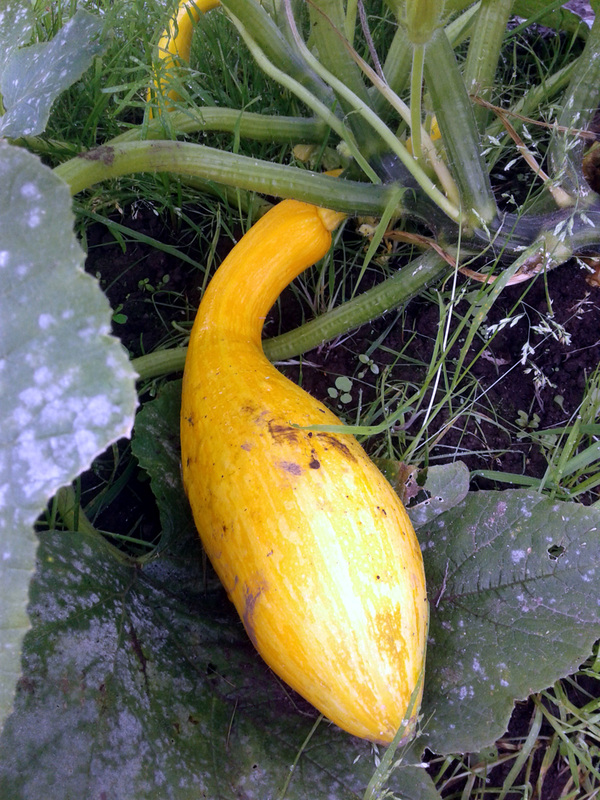 We’ve also got a smallish marrow that we’ve grown from courgette ‘Midnight F1’ and a gem squash from a courgette ‘Tondo di Piacenza’, already curing in the greenhouse. That’s it for this year. Not quite the haul we were hoping for. But as I said, next year will be much, much better. I plan to nick Monty’s idea for growing smaller squash up stout poles (in our case, Jo suggested using three bamboo canes lashed together for each ‘pole’, which I reckon is a good idea) and also set up a couple of larger manure mounds for the more rambly, ground-hogging varieties. We grow Crown Prince but they are really large and we never seem to eat all that we grow. Next year we may try for some smaller fruiting varieties. Our courgettes have been hopeless this year. Maybe it was too dry. Hi Sue – Have you tried cooking the Crown Prince then freezing it to use in mash or soup over the winter? Or maybe the thing to do might be to nip in and cut them when they get to a suitable size, then let them finish ripening and curing in a greenhouse?